Come escape to luxury in this oceanfront, 5-bedroom vacation rental. This condo is part of a four-unit complex on the beach. There is underground parking for 2 cars, an elevator. Overflow parking is available at our office in Oceanside, located at 1640 Oceanside Blvd, Oceanside, CA 92054. The building and condo are wheelchair accessible and the rental boast beautiful slate flooring, a large kitchen perfect for any cook with granite counters and stainless appliances, a living room with a large flat screen tv, views looking out straight to the beach, an oceanfront balcony, and a private spa. This property also comes with central AC. You will be spoiled after your stay here and never want to leave! This home is located in the coastal town of Oceanside, where the beaches are nothing short of spectacular, with wide sandy beaches and gorgeous waters year-round. After a day at the beach, take a walk to the pier - wander down and either watch the surfers, go fishing, or take a sail boat out at the harbor. When it is time for dinner, there is an endless number of delicious restaurants Mary's Family Restaurant) and cafes for you to choose from, but many choose to cook their meals at the vacation rental. Life doesn't get much better than having your close friends and family around, enjoying a glass of wine, preparing a scrumptious meal as you watch the sun go down on the horizon of the Pacific Ocean. Fall asleep to the sound of the lulling waves, wake up and do it again. Sun and beach at Thanksgiving! Wow - That's about all I can say about the place. The home was amazing, ocean waves crashing just a few feet from the panoramic doors that opened the whole wall. Stocked with all the comforts of home, private underground parking, secure gated entry and pet friendly. Was great to be able to have our dog with us and take him for a run along the strand. We've stayed in three of the four units here and as a wheelchair user, it's great! There is underground parking, an elevator and access via ramps. Doors are wide and layout easy to navigate. 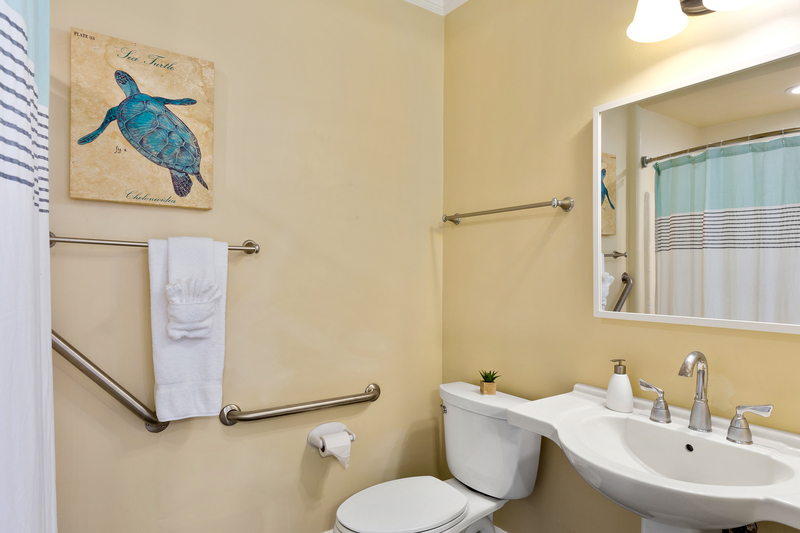 The bath behind the master has a pedestal sink, lots of grab bars and a hand-held shower. Slight step at the entry, so I bring my little portable ramp. This was our fourth stay, which shows our level of satisfaction! We’ve been coming here over 10 years because this place is amazing! The condo has the best ocean views and breezes. It accommodates 13 adults easily. This was our 10 year anniversary coming to this fabulous place. We come as a group of friends (12 of us) we enjoy this week so much and look forward to it every year. The condo is in a great location with amazing views all day long of the beach and ocean! It's very clean and fits everyone perfectly. Thank you!!! Our stay in this beautiful home was amazing. There was plenty of room for all 10 of us, including bedrooms, living area and kitchen. The underground parking was very convenient. The home was everything it was built up to be. When the A/C would not come on, it was dealt with in a timely manner. There were a couple of concerns that we fell need to be addressed. 1. Where the trash is stored, under the balcony. We had flies everywhere and there was a strong smell of trash. There should be a better place for the trash dumpsters. It took away from the beauty because of flies and odor 2. At night we had "homeless" people hanging out in the front of the house. Yes, it is a public area, but we were not comfortable and saw some sexual activity going on as well. Once again, this took away from the beauty and kept us from enjoying time outside in the evening. With all this said, we still had a wonderful time and would stay here again. Used the property to hold important meetings and everything was perfect. Family was in love with the location. Everyone was thrilled with the ocean being just outside the family room and loved watching the ocean waves hit the rocks. Sunsets were beautiful. House had plenty of room for our family of 15. The essentials were stocked well. Enjoyed having the large capacity washers/dryers and vacuum. Easy to walk to the pier and downtown for most of us. Easy to check in - just go to house and enter code. Loved being able to just leave without having to wash/clean everything. Also liked the ability to park two cars in the garage since street parking became crowded. The view of the Ocean and the breeze of pure sea air was breathtaking. The beachfront only staff was ready and able to help with all of our needs. The underground parking was great, the bathrooms where stocked and ready. The whole experience was like a dream come true for our girls. Some of which had never been to the beach. Memories for a lifetime. I recommend this magnificent home and fully recommend Beach Front only. Service unparalleled and prices reasonable. Thank you. Beachfront and thank you Home owner. Your paradise by the sea awaits the next happy visitor. We had 809A and my brother-in-law had 809B. Together we had about 40 people there for a great reunion. We had a great time! The house was great, very roomy, clean and beautiful. The condo itself was very nice. Well cleaned and kept. The view of the ocean was absolutely breathtaking! But I would have a few reservations about going back. For one, I thought it was very pricey, given the fact that we weren't even allowed on the roof. Another thing is that they threaten to fine you $1000 if you get any noise complaints, which they don't tell you until after you already have booked. That made it hard for us to enjoy ourselves and relax because,even though we weren't loud, you can never tell what your neighbors are going to do. The refrigerator didn't keep your food and drinks cold enough but they threatened a fine of $50 if you tried to make it colder. I didn't appreciate all the threats of fines. There wasn't really a beach to lay out on. The waves came clear up and crashed on the rocks so you didn't have any beach to set up your towel and lay there. The last thing is that it is a 5 bedroom condo, but the hot tub was barely big enough to comfortably fit 2 couples in it. So I guess I'll say that while it was a nice place with a beautiful view, it was too overpriced with too many rules for what I was looking for. 8 ladies on our annual Mother's Day Getaway!!! This place exceeded our expectations by far. We nearly cried when we saw the interior and the view we were thrilled. We wanted to stay longer and we all vow to come again with our spouses next time. It was absolutely perfect. Only let down was cloudy weather but it really didn't even matter!!! We can't wait to go back and reserve the same Condo. Thanks for everything! This house was amazing. It's really big, enough to handle my big family (8 adults and 4 kids!!) without feeling like we're on top of each other. I like how it's a single floor too, so it was easy to have conversations and hang out with the whole family. There's a big window over looking the sunset. It was such a nice view that my nieces always eat their dinner in front of it everyday. I also like how they provide towels AND beach towels for everyone. Just everything about our vacation was amazing. We went to the beach twice a day. Even though the beach was right in front of the house, there were a lot of rocks which make it hard, especially for my young nieces. However, there's a set of stairs just 5 mins down the road. I would really recommend this house for anyone looking to have a nice vacation with the whole family! This was a last minute accommodation for our family. We really enjoyed our stay at this beachfront. The place was clean, kitchen stuff were good to use and beds were comfortable. When I asked for the screen door to be fixed, somebody came within an hour to attend to it.But I hope they replace the screen door with a sturdier one so flies won't get inside. If you ask us if we want to return to this place, yes we will. This is our 7th year returning to Beachfront rental and we've already booked again for next year!! It's spacious and comfortable for our group of 11 adults. 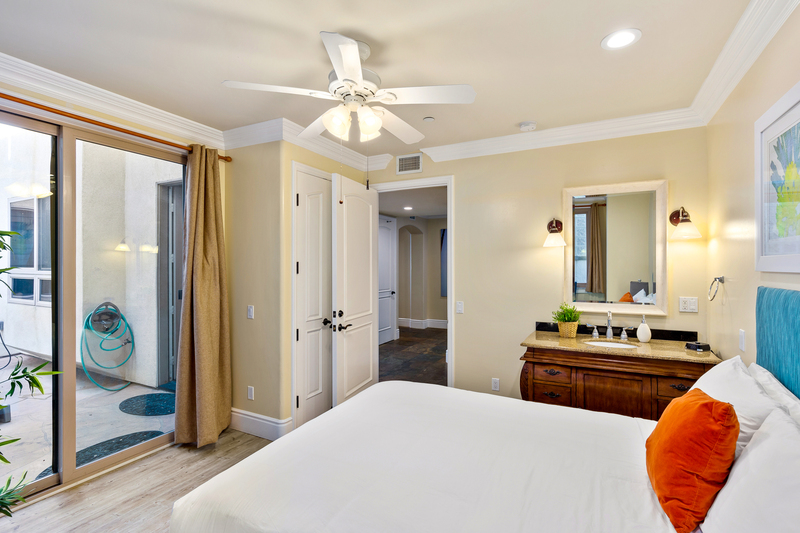 We enjoy the amazing view from the wide window overlooking the beach seeing dolphins swim and gorgeous sunsets every night. We spent 5 days at this property, and had an incredible experience. I have two young daughters, and the house was perfect for kids. The view is spectacular. We saw a whale breach while we were grilling. The entire experience was fantastic. The place was perfectly equipped, big bedrooms, comfortable beds and linen, and a well stocked kitchen. Only the BBQ log lighter was low on fuel, I guess I can forgive them that one! I'm sure they would have rushed one over had I asked them to. It was an A Plus experience. I took my family, my 3 kids, my 4 grand kids my sons fiancee and her 2 kids and my daughters boy friend. we had a blast, plenty of room for all, every thing in the house worked great, only complaints I have is no real beach in front of house and only one bed room with a TV in it, but we didn't go there to watch TV. Thanks Beach Front Rentals. Uninvited bed bugs in our first location prompted a professional response by Beach Front Only's staff and a quick move to another unit. The only drawback - the unit lacked the large lanai and private beach area that prompted our booking. I originally booked an Oceanside room with Air B&B, confirmed it 3 weeks in advance - but when I contacted the host the night before- she told me that she accidentally double booked and had to cancel my reservation. Of course a refund did me absolutely no good with my family en route and looking forward to a beach vacation. They weren't helpful in assisting me to find another beachside location. I'm soooooo thankful that I contacted Nancy at Beachfront Only!! She was great at helping me find an absolutely beautiful home on the beach and I was able to keep the same reservation dates. The location was great , the home was spacious and comfortable. The kitchen was perfectly stocked for cooking. We had a wonderful vacation!! We had a wonderful trip with our family and enjoyed the spacious, family friendly condo. The picture you see is exactly what you get. The water is beautiful, the sunsets are a spiritual experience in themselves and cannot be described in words. The place was immaculate and gorgeously decorated. The place is spacious and perfect for family get- together or a quiet retreat. 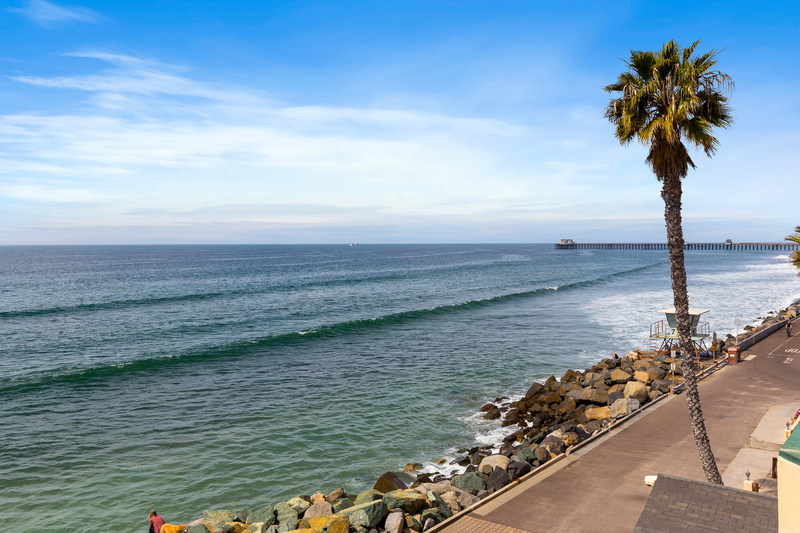 Close by is the laid back beach town of Oceanside with plenty of cute shops and delicious eateries. I recommend Rim Talay Thai food and Swamis for breakfast! The view from the house makes you feel like you literally are sitting on the water, it's incredible. Will definitely be using this company again - highly recommend. My friends and I enjoyed the space immensely for our retreat. The property management company was pleasant and great to work with, as well. The only area that could be improved was regarding use of the rooftop. The elevator outside our door to unit A gave us access to the roof (level 3) and we read through all the information we received but saw nothing informing us that would should NOT use that space. Guests in another unit informed us (quite rudely) that we were not permitted to use the space! That is the only point of communication that could be improved. We look forward to booking another unit that has access to the roof... it's lovely! We had a great stay, great location close walking distance to beach/pier, unit layout was a perfect open design floor plan great for large family gathering and handicap accessible. Rooftop patio was a great place for family bonding around the fire near ocean in your pajama. Staff was great and checkin and checkout was a breeze we would definitely rent the property again. We had a great time with the family. With a baby it was wonderful to just walk the beach, enjoy the view, the hot tub and cook great meals. With 4 chefs in the family, we ate and ate! Lots of fun! We had the best Christmas weekend with family at this Oceanside location!! It is even better than it appears in the pictures. Very spacious. Incredible views. Easy access in and out. great putting green for kids outside. Beds are comfortable. Window beds are more comfortable than you expect also. Overall pretty amazing! My sisters, our children,and their young grandchildren spent a fabulous five days together. This house was walking distance to the pier so daily walks there and to quirky Oceanside spots was a treat. There was plenty of room to spread out. The fully usable kitchen meant after one trip to the store we could tuck in and never get in our car again if we didn't want to. Several times we spotted dolphins from the living room window. With young children we really appreciated the washer and dryer which meant we were able to pack light knowing we could easily take care of laundry. It was a very short walk to play in the sand as the tide was high while we were there and the wave practiclly came right up to the property. It really was enjoyable to be that close to the ocean. I would highly recommend these properties. We had family from 9 months to 93 years(wheelchair bound). The Beachfront people were great. The condo was superb. The only problem we had was minor and the team took immediate action and cured it within the hour. The only thing I was surprized about was our cell phones didn't work inside. But... no hardship to sit on patio and tell people we were watching the sun set over the ocean. We had two gourmet cooks with us and they found the kitchen great to work in. We were able to take our grandaughter on a bike surrey ride right in front. She got to feed the squirels coming out of the rocks. We saw several schools of dophins. We are already checking calenders for a repeat with Beachfront. Problems with hot water, dishwasher and hot tube. Cell phones do not work in this unit, it needs a cell signal booster. The first thing we noticed was the spectacular view from the front window--breathtaking. However, we were NOT directly beachfront, like we thought we would be. We were oceanfront--meaning there was the "Strand", or little street directly in front of the condo, (which we did expect) then a large seawall of enormous boulders blocking us from direct access to the beach. We had to walk about 160 yards to get to a beach access before we could walk down to the sand. Had we known this, we may have rented somewhere with direct beach access- no "sea-wall boulders". The kids had to walk for several minutes to get to the beach, then walk even further for enough beach to play on. We also had about 15 college kids above us who partied for 2 nights until about 4 am. We kindly asked them to quiet down--they went indoors, but were still loud. We should have called and complained. In the condo next door was a group of adults who talked, ate and laughed outside until 3:00am the last two nights of our stay. We asked them to be quiet and go inside, and after two requests, they finally did. We understand that they were trying to enjoy their vacation, but we also thought there was a strict 10:00 pm "no noise" policy. Even with the windows and sliding doors closed, they could be heard. We wondered if the area we rented was more of a "party destination", when we wanted a "family orientated" destination. (There was a family renting directly across from us who were very polite and perfect neighbors!) It was a beautiful condo with nice furnishings. 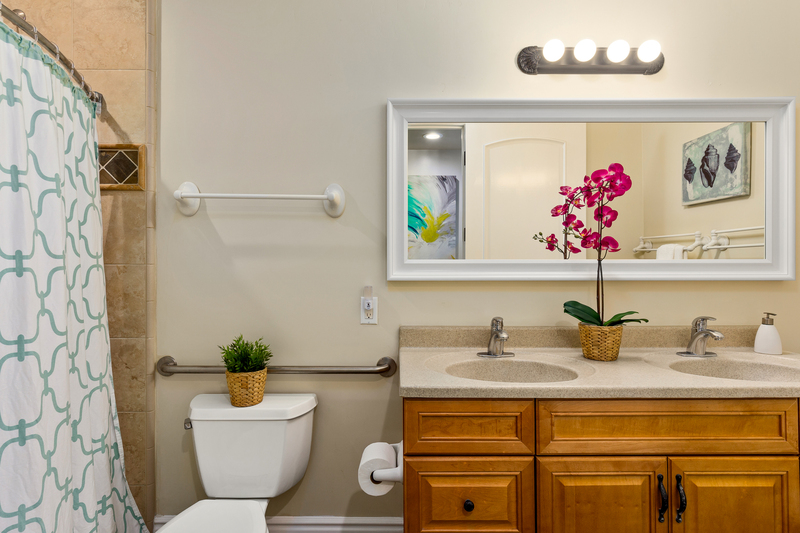 Awesome spacious kitchen and spotless bathrooms. Plenty of room for all of us. Beautiful beaches. Our family loved our stay. The ocean was warm, unlike the ocean water near Aptos, (where we have usually gone), which is too cold to swim in. So the kids loved being in the water without wet suits! The staff were accommodating--very pleasant. Beautiful location and condos. So appreciate all the amenities and supplies/appliances provided as well. Makes for a wonderful stay. I just wish check-in was earlier and check-out later. Very spacious and comfortable for our family of 16 and 2 dogs. The view was gorgeous with nice walking paths to the pier and downtown Oceanside. Everybody enjoyed their time at the condo. This place was superb and the accommodations were better than the pictures showed. The place was spotless and well stocked with everything we needed for meals etc. I highly recommend this place. The only reason I gave the location a 4 star instead of five is that you must walk a bit (75 yards)to get to the sandy beach as right in front is a rock breakwater, but that was just a minor inconvenience. Ocean views were excellent! Beachfront runs a very well managed organization! Loved, loved, loved this property. Everything was perfect. We had a wonderful time, and will be back for sure. Only down side is I wish everyone in the building could use the roof top deck. It would let the guests get to know the other renters in a common area. This rental was a perfect venue for our extended family who gathered - grandparents to toddlers. The chefs among us were able to shop nearby and then whip up their recipes in the well supplied kitchen; the little ones spent indoor time sitting on the window seat, watching the ocean and the porpoises through our window, and everyone could eat and "hang out" together in the roomy common areas. For a special touch: a tall artificial plant became our California Christmas tree. Helpful, professional staff and a well-located, nicely furnished apartment plus convenient garage. It all worked perfectly for us. This property was ideal for a group of five, each of whom had her own BR! All appointments & amenities in the condo were excellent, the view was gorgeous, and we'd definitely like to return in the future. I had a group of 12 friends come stay at this location to celebrate the New Year. The place was bigger than the photos made it look, the location was right on the beach, rooms were spacious and the sound insulation was great! The only comments I would make are there is no HD TV (so watching football was challenging), there isn't an Insinkerator so you will have to make sure to throw away all the food before doing dishes and the dishwasher took a long time to clear out. However, this still doesn't stop me from giving this place a 5 star rating! We had a church leader's retreat and everyone was very excited to see the place. We were able to enjoy a great time together and the scenery was amazing. As usual, the staff was great and the condo was exceptional. In a perfect world, the sliding glass door to the patio would be widened to accomodate an electric wheelchair, but overall the handicap accessability was great (the bathroom in particular). We will be back! We had a wonderful week with our grown children and new grandson. The condo is beautiful, you feel like you have never left home. All amenities provided. We happened to hit on one of the hottest weeks of the summer and condo doesn't have air-conditioning as most of the property we found along the beach to not usually need it. 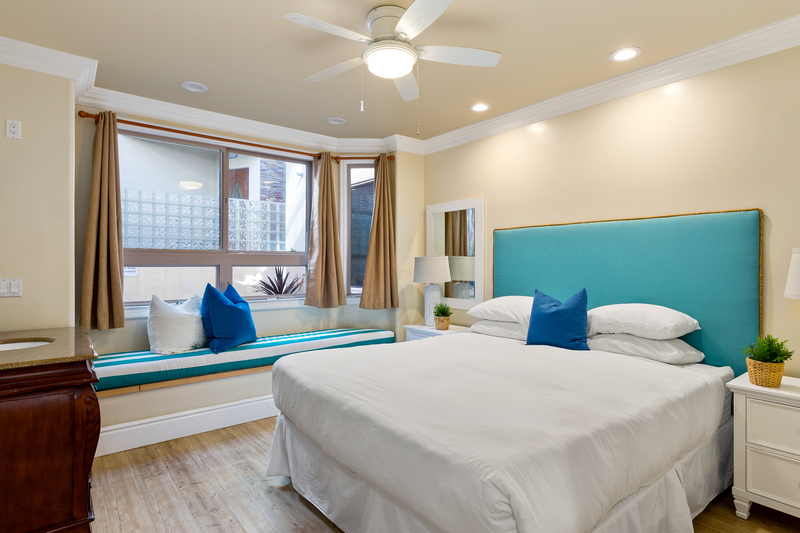 It made for some hot evenings to sleep but the staff brought up a floor fan and each room had ceiling fans and plenty of small fans to mover around wherever needed. It was such a relaxing week. We will definitely be back. Great vacation and a happy family. We had a wonderful stay in this unit. It is even better than the picture show. Much more spacious. We had 7 adults and a 11 month baby. We loved the pretty views that we had all day long and the beautiful sunsets. Bike riding was easy as well as running. The management has its coustmer service down to a T. They called us up to let us know of a better way to store our bikes so they would stay safe. The property is very safe and secure with a gate for our cars. We could not have had a nicer time with our family. I would love to rent from this company again very soon. Great location great service beautiful accommadations. Some of the rooms were warm even with the fans. A fantastic view, a beautiful place to stay, a great parking area, lots of options to take our dog out to go to the bathroom, security features and most importantly, it is ADA compliant and has an elevator and a wheelchair walkway to get to the main sidewalk/street. Staff at Beachfront Only are wonderful and very accommodating! Only negatives were no hot water and no cell phone reception within the condo. The place was much more beautiful than the gallery shows! My family had such a great time! I plan to re-book this place again! We had a wonderful time. Lots to do in and around Oceanside. Enjoyed the beach, the pier and exploring the town. Our condo was very comfortable for all 12 of us. We did have issues with one bedroom having ants. We had a problem with the WiFi but the staff came and fixed it immediately. Only other thing is the HVAC didn't seem to work properly. Bedrooms were very cold and the living space fluctuated from just right to very warm. PLACE FOR OUR GROUP OF 12 LADIES. PLENTY OF BEDS AND BATHROOMS. WE LOVE THAT IT IS SO CLOSE TO MANY WONDERFUL ACTIVITIES AND PLACES TO EAT. Great place for family reunion. Absolutely wonderful. Everyone loved it, clean, tremendous space, gorgeous view. WHAT A WONDERFUL WAY FOR A FAMILY TO SPEND A WEEK WITH EACH OTHER. THIS IS OUR 3RD YEAR OF STAYING ON THE BEACH WITH BEACH FRONT ONLY, AND EVERYONE HAS BEEN DELIGHTFUL. THE GRANDKIDS CALL THE HOUSES GRANDMA BEACH HOUSE AND THEY START TALKING ABOUT NEXT YEAR AS SOON AS WE GET HOME. NEXT YEAR IS ALREADY PLANED FOR THE SAME BUILDING EXCEPT FOR APT NUMBER. 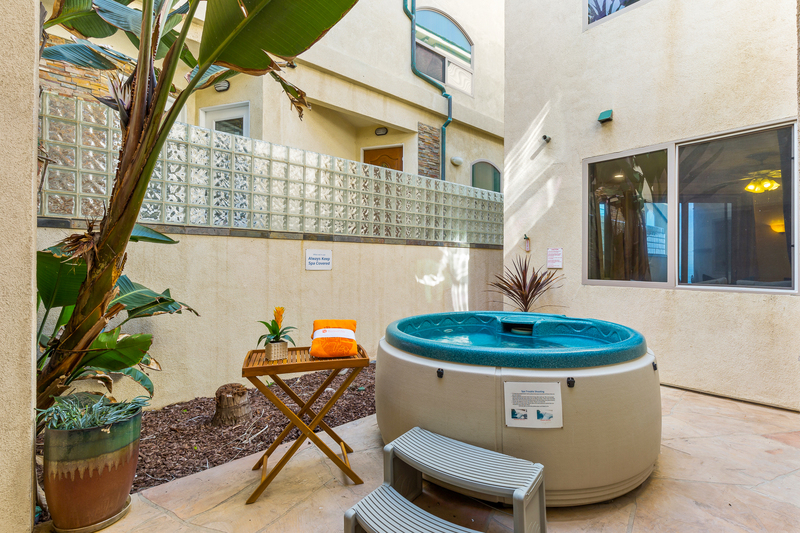 IF YOU HAVE ANYONE HANDICAPED AND NEED ALL THE FACILITIES TO TAKE CARE OF THEM 809 PACIFIC AVE. OCEANSIDE ,CA HAS THEM. THE BEACH IS AWSOM FOR WALKING AND SHELL GATHERING. GOD WILLING WE WILL BE BACK NEXT YEAR. Great Property. This is the second time I've rented this property. The kitchen is very well stocked. It has a great view. The property is very well maintained. We look forward to our next visit. Only down side, our cell phones didn't work inside. All who attended our said it was one of the best trips they've been on. Other than some plumbing problems and not enough insulation from the unit above (noise) it was very nice. The property is beautiful and was supplied with just about everything we needed during the trip. We had a great time and would definately recommend this location. WE LOVE THIS PLACE. IT IS OUR 3RD TIME HERE AND WE WILL BE BACK! A little bit of "Heaven on Earth"
Booking with Samantha was so easy and informative and helpful! we will be back! Would like a 11 am check out would be great to enjoy last breath of Heaven!!! were luxurious... spacious, clean, well stocked, well laid out and fantastic. The roof-deck was the perfect gathering place where we could eat meals together and enjoy group activities. The location at the end of the strand was great...quite secluded from the busy-ness of the beach going public, but close enough to enjoy the pier and the Oceanside area. Loved it! The washer & dryer could use a little more maintance care But I'm so clad they are there. Would have liked a little more info about services in oceanside like a Good Steak house, where is it safe to get a pedicure, or massage etc. We will be back! 4. Staff were very helpful. For example, we requested information on tennis courts and they found some for us that we played on. Overall, a wonderful family reunion. I will recommend to others. Excellent property. wonderful location. top quality and comfort. local coffee shop a pleasure. only downsides: noise from upstairs occupant (loud footsteps and balcony talking) and tide didn't go out til noon. otherwise..we'll be back!! The reservation process was very easy. The staff was very helpful answering my questions. The house has a keyless locking system-you enter a code to get in the house. The house was beautiful, clean, and very spacious. The kitchen was also very well stocked. I was impressed. Best of all, it was right on the beach! Perfect location...short stroll into town. THIS IS OUR FAVORITE PLACE FOR A GROUP OF 14. EVERYONE HAS THERE OWN BED. VERY COMFORTABLE. Our first family reunion and it couldn't have been any better! We were in the Oceanside condo 809A & B and it was the best location at the end of the strand. The condo's were beautiful and all 23 of us were so delighted. The kitchen was so well stocked with all we needed to make our gourmet meals. Everyone wants to come back next year. The wonderful management team is very easy to work with and cooperative. I recommend these condo's to everyone..you won't be disappointed. Family Visiting from Minnesota loved being in Oceanside in February. Everything was wonderful except for limited access for cell phones -- we had to literally stand outside on the steps to make calls and family members could not receive incoming calls which created some challenges for us. We loved the location and it was huge! We had 13 people and plenty of room to spare. The kitchen was well stocked with everything we needed - pot, pans, etc. The beach access was nice as was the underground parking. Kids loved the hot tub. We had a family vacation on short notice (reserved about a week prior to check in) and everything turned out smooth. The paperwork and logistics were taken care of by a friendly and courteous representative and everything was just easy. The property was better than adverstised and was more than sufficient for 10 people (4 of them children 5 years old and under). Excellent view from the property. Enjoyed listening to the waves throughout our stay. I would recommend this to anyone thinking about a family getaway. My husband and I along with our three children enjoyed our stay at 809A more than I can say. The property was extremely clean and so beautiful! The sound of the ocean along with the view (including the dolphins:) were nothing short of magical!! Thank you beachfront rental for an amazing trip! Our party of 10 had a wonderful time during our stay. There was a minor sliding door latch key repair needed, as earlier noted on the comment sheet. Also, in your written instructions for arrival, it would be helpful to clarify the need to actually press the chrome key button on the garage gate key pad two times prior to entering the four-digit unique code. It was not clear that we actually needed to press the pad two times as part of the entry code. When our attempts to only press the four digits were not successful, (and we were about to place a call to your office for assistance), a vacationer standing on the balcony above, shared this information w/us. Of course, the gate then opened! The ocean views were magnificent. We were also blessed with perfect sunny weather and temperatures, much to the delight of our beach enjoying/shell-collecting/ocean boogie-boarding/fishing family! Incredible location for race. Property was immaculate..kitchen fully stocked with everything we could have possibly needed. Overall, had a great weekend. The property was very clean and had everything we needed. Had trouble accesing the garage gate but we eventually got access inside. Great location. There is no way you can complain about the location and view. You see the ocean, your open the window, you hear the wave and you feel the ocean breeze ! Hose is amazingly clean. You don't find any grease. Kitchen, Refrigerator has no smell at all !! May be we are Oriental, I wish the light at dinner area is much brighter. Last thing is, may be I had already, that rental management give me a big discount !!! We live locally, however like to move to the beach a couple of weeks a year to wake up and LIVE with the sound of the Pacific crashing it's waves alllll day!!! This condo was PERFECT for us! It included EVERYTHING we needed for a comfortable and luxurious vacation! It was CLEAN, WELL organized and labeled, fabulously decorated and the bedrooms are so well layed out that everyone had their privacy! I was happy to have the washer and dryer AND beach towels provided! The outside shower was VERY handy for kids coming back and forth from the sand several times a day! The jacuzzi also was VERY helpful for chilly kids warming up after surfing! I highly recommend this condo and the staff was AWESOME!!! The *only* thing I was a BIT bummed about was there is not INSTANT access to the beach, a small walk however will get you down on the sand! We selected this Beach Front Only Property for our Home School Reunion Girls Weekend Getaway because of the stunning property and unbeatable location. The weekend proved to be a huge success. Both of the teachers and all three girls had a wonderful time reconnecting and enjoying the view, the beach, local restaurants and the private spa. The girls sat up until late into the night reminiscing and giggling together. The home was immaculate, and when we called the office to get an extra blow dryer, someone was knocking on our door with the blow dryer almost before I had hung up the phone! It was nice having the front window seats/beds for the girls to sleep on with plenty of extra sheets, blankets and pillows so they could take full advantage of the gorgeous ocean view and hear the sound of the waves crashing just a few feet away. The underground parking was very convenient and protected our cars from the harsh ocean air. The kitchen was stocked with everything we could possibly imagine and we loved the large flat screen TV and DVD to watch movies together in the evenings. We all decided that this will now be an annual event! Thank you so much for opening your incredible property to us. Our stay was extremely enjoyable and relaxing. This property was ideal for our family. We hope to return for another get-away. Great place to rent. Wonderful view too. We will rent again thanks to the kindness the staff at beach front rentals showed us.